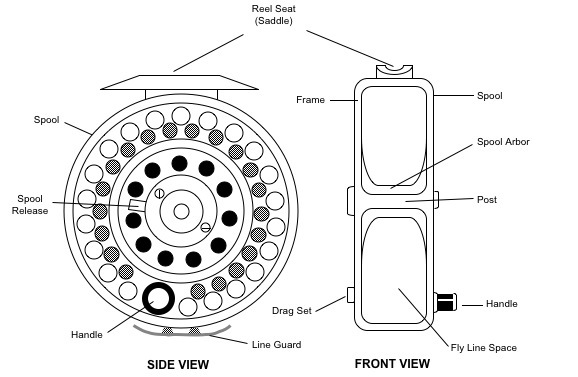 Fly reels are normally manual, single-action designs. Rotating a handle on the side of the reel rotates the spool which retrieves the line, usually at a 1:1 ratio (i.e., one complete revolution of the handle equals one revolution of the spool). 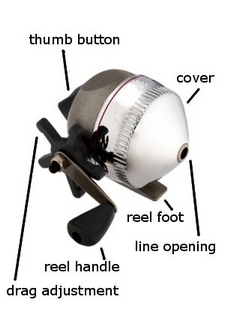 Fly reels are one of the simplest reels and have far fewer parts than a spinning reel. The larger the fish the more important the reel becomes. On the outside of the reel there are two levels of knobs these are the spool release and the drag adjustment.